Our organic Clove Bud Hydrosol is steam distilled from the the blossoming, tiny, crimson buds and green, waxy leaves of Syzygium aromaticum (syn Eugenia caryophyllata) trees growing wild in the forests of Indonesia. 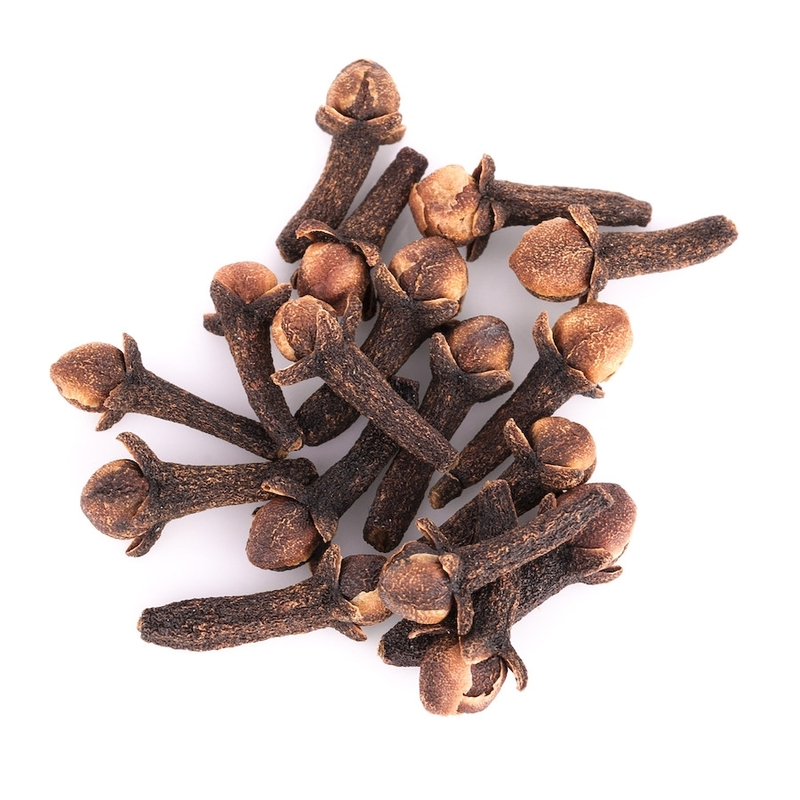 Clove has been used in traditional Indian Ayurveda and traditional Chinese medicine for centuries to relieve tooth pain for its high anti-microbial, anti-fungal, antiseptic and stimulating properties. Clove is also one of the oldest remedies to fight indigestion and stomach related problems. One of our favorite ways of using Clove Bud Hydrosol is to help with minor pain and inflammation management. It is also widely used when looking to minimize unwanted bacterial, viral, or fungal activity. Due to its strong aromatic properties, gargling with Clove Bud Hydrosol and warm water can also help fight bad breath. For its high anti-inflammatory properties, Clove Hydrolat can come handy during times of sore throat, cough, cold and sinusitis. Emotionally and energetically, Clove Bud Hydrosol warms and comforts. With its spicy nature, it is calming to the mind, especially when one is perseverating or prone to obsessive thinking.